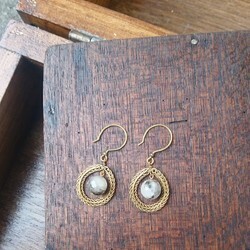 Brass hook earrings with quartz. Material: brass and round shape black rutile quartz earth bead. Earring length: 4.7cm (hook included).